If you’re set on the idea of earning a million dollars, there are likely tons of people out there telling you that your goal is unattainable. Making a million dollars is feasible as long as you know what you’re doing and have a plan on how to get there. If you’re not sure where to start, check out the following methods and tips on how to earn a million dollars. Do you want to earn a million dollars without putting very much extra work into it? Then cut back on your spending habits and put your cash in the bank. If you simply put $5 in a bank account each day with 10 percent interest, you’ll have a million dollars after 42 years. Want to make it quicker? Save even more money. This tip isn’t all about putting your money in the bank, however. You have to live a frugal life, and most people who succeed at this live below their means. Drive used cars, cut coupons, watch for sales, skip cable, forget the morning coffee — following these frugal tips can help you save to your first million. The stock market could help you earn dollars without stashing it all away. Instead of just saving it, you’re making it. If you start out with $5,000 and invest $500 per month, perhaps your goal isn’t that far-fetched. If you average 10 percent annual yields, you could reach your goal in 29 years. That’s not a bad retirement fund. If you do choose to invest in the stock market, it’s a good idea to head to an investment agency such as Fisher Investments to help you manage your portfolio. You can purchase homes, fix them up, and make profit by reselling them. You can rent out your property. You can expect as much as 8 percent annual returns on rent. Make profits from business ventures that take place on the property, such as farming or mining. In the book The Millionaire Next Door, the authors state that most millionaires lead normal lives, not the fancy life you see portrayed by Hollywood. The authors outlined several characteristics that they noticed most millionaires share. Among these characteristics, the authors found that most millionaires own their own business and they love what they do. When starting a business, you can sell products, services, or consultation services, and you can work in a physical location or have a business based online. If you really want to cash in, the secret lies in launching a successful startup and selling your business. If you’re really set on your goal of a million dollars, you can quickly claim this by becoming an expert in your field of interest. Invest in your education, take advantage of opportunities, and learn as much as you can. 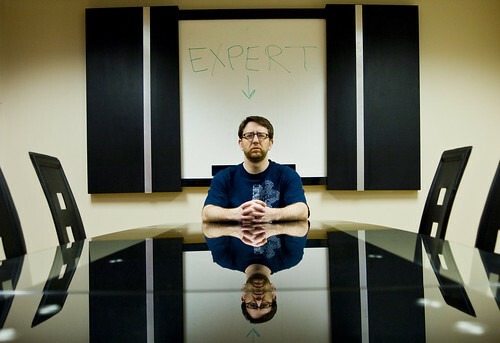 Once you become an expert, you can charge for consultation services, sell books, give speeches, sell advertising slots on your website, and hold leadership positions. As you do this, you’ll see your income rise. People have to like you. Make sure you practice your public speaking skills. To make any money, you must have something important to say. If you’re consulting, writing books, or hosting seminars, your success depends on the amount of people who are willing to listen. Again, you’ll only make money advertising on your website if you have people coming to the site interested in your content. You better make sure you are an expert. A degree doesn’t necessarily make you an expert. Do research and get involved in your field. If you’re motivated and willing to put in the time, a million dollars isn’t an unrealistic goal. So stop letting people tell you that you’ll never make it! These few suggestions can help make you a millionaire. Your primary home is not an investment in the normal sense of the word. 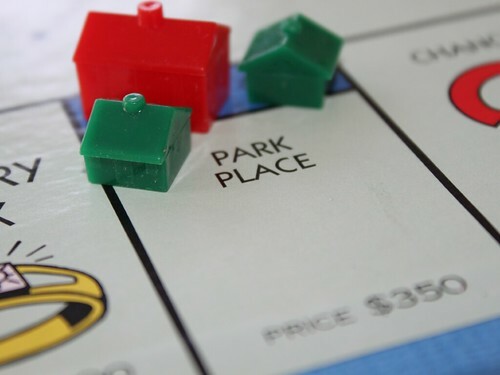 Dictionary.com defines Investment thusly*: “the investing of money or capital in order to gain profitable returns, as interest, income, or appreciation in value.” Some of you will argue that you buy your house because it will appreciate in value. But, to fit the definition, you must have bought it specifically for that purpose. And in the case of a primary residence, that isn’t true. When you bought (or buy) your primary residence, you’re looking for a home. You’re looking for a place to call your own where the money that you spend on it goes towards your ownership of the home. Sure, it may show some returns by way of appreciation of value, but those are locked into the house until you sell. And, truthfully, you probably don’t care about that unless you sell, so if you plan on living in the house (the definition of primary residence) it makes little difference what the house is worth as long as it provides a home for your family. So, don’t be fooled into looking for a good “investment” when you buy a house. 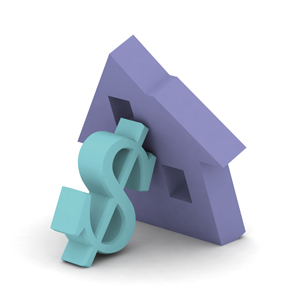 Look for an affordable home that will provide for your shelter needs. When (if) you sell the house, it gets converted into an investment and you will have hopefully made some money, but when you’re looking for a home, pick the one that will fit your needs. Not the one that shows the most potential for return. That’s what second homes and rental properties are for. *I know that thusly isn’t really a word. I blame it all on Alton Brown. As I mentioned before, I’ve been taking the normal 10% contribution amount that most would be putting into their retirement accounts and splitting it between my lending club account, and a sharebuilder account. It’s been a bit of an experiment. I happen to think that lending club is a relatively safe investment option for a portion of your portfolio. I’ve still got my 401(k) from my old job, so the investments that I’ve made at lending club and in the sharebuilder account don’t even really make up 5% of my total investments. In short, I can afford to get a bit risky with the money. So far, it’s been anything but risky, however. I’ll update on the sharebuilder account in another post. Let’s take a look at what my lending club account has done. With only 24 loans, it could be that I’ve just been lucky thus far. I’ve had a couple of the loans go past due by 10-15 days, but nothing that hasn’t been caught up and made current. And no defaults. As I continue, I expect that I’ll see one or two. With all the doom and gloom about the economy recently, I fully expected to see one already. To date, I’ve deposited $257.20 into the account. That includes money from before this experiment started, so it’s not all recent. With that 257.20, I’ve invested in $511.36 in loans. 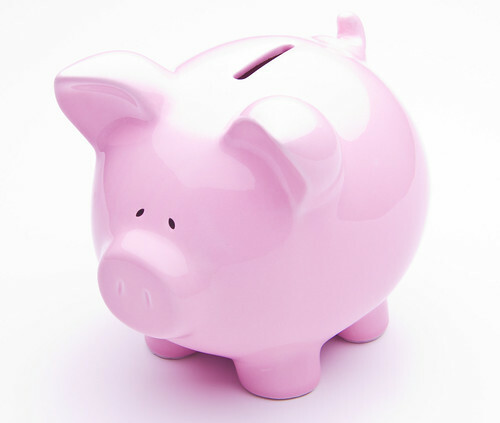 The math savvy of you will notice that the invested amount is quite a bit more than the deposited amount. That just means that the money has turned over almost 100% since being invested. The more recent money, which accounts for about 50% of the account hasn’t had a chance to turn over yet, or that number might be higher. My total income, minus fees, is $36.26. As you can see, I’ve gone a bit riskier and weighted the portfolio towards the higher grades, but is still heavily centered around the C/C+ grade. (Read this to see how I select loans)That keeps my return a bit higher, while also keeping the risk a bit lower. Speaking of return, what is mine? 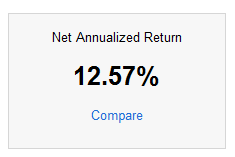 According to lending club, my net annualized return is 12.82%. I like that. It’s far better than any bank or credit union is going to pay me for my money. To get that, I give up the liquidity of the money (I’d have to sell my notes to get the cash), and I give up some of the stability of the money (it’s riskier than a savings account or CD). Because this isn’t my emergency fund, or normal savings, I’m ok with giving up both of those things, in exchange for an above average return. Do you invest with peer-to-peer lending? Do you use Prosper? Lending Club? Both? How’s your return?